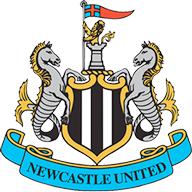 Match ends, Crewe Alexandra 1, Newcastle United U21 2. Second Half ends, Crewe Alexandra 1, Newcastle United U21 2. Attempt missed. Luke Charman (Newcastle United U21) left footed shot from the right side of the box is close, but misses the top left corner. Owen Dale (Crewe Alexandra) wins a free kick on the right wing. Foul by Stefan O'Connor (Newcastle United U21). Attempt blocked. Jordan Bowery (Crewe Alexandra) right footed shot from the centre of the box is blocked. Foul by Mohammed Sangare (Newcastle United U21). Substitution, Crewe Alexandra. Lewis Reilly replaces George Cooper. Goal! 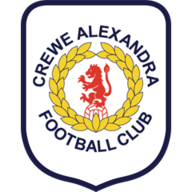 Crewe Alexandra 1, Newcastle United U21 2. Jordan Bowery (Crewe Alexandra) right footed shot from very close range to the high centre of the goal. Assisted by Owen Dale. Curtis Good (Newcastle United U21) wins a free kick in the attacking half. Corner, Crewe Alexandra. Conceded by Kyle Cameron. Corner, Crewe Alexandra. Conceded by Macaulay Gillesphey. Attempt saved. Eddie Nolan (Crewe Alexandra) header from the right side of the box is saved in the bottom right corner. Corner, Crewe Alexandra. Conceded by Paul Woolston. Owen Dale (Crewe Alexandra) wins a free kick on the left wing. Daniel Barlaser (Newcastle United U21) wins a free kick on the right wing. Foul by Brad Walker (Crewe Alexandra). Daniel Barlaser (Newcastle United U21) wins a free kick in the attacking half. Attempt missed. George Cooper (Crewe Alexandra) left footed shot from outside the box is just a bit too high. Zoumana Bakayogo (Crewe Alexandra) wins a free kick in the attacking half. Foul by Callum Smith (Newcastle United U21). Attempt missed. Jordan Bowery (Crewe Alexandra) right footed shot from the centre of the box is just a bit too high. Substitution, Newcastle United U21. Stefan O'Connor replaces Jamie Sterry. Attempt missed. Callum Smith (Newcastle United U21) left footed shot from a difficult angle and long range on the right is close, but misses the top right corner. Attempt blocked. Callum Smith (Newcastle United U21) left footed shot from outside the box is blocked. Substitution, Crewe Alexandra. Ryan Wintle replaces Tommy Lowery. Goal! Crewe Alexandra 0, Newcastle United U21 2. Luke Charman (Newcastle United U21) right footed shot from the centre of the box to the bottom right corner. Assisted by Mohammed Sangare. Substitution, Newcastle United U21. Mohammed Sangare replaces Callum Roberts. Attempt missed. Jordan Bowery (Crewe Alexandra) header from the centre of the box is just a bit too high. Attempt saved. Liam Smith (Newcastle United U21) left footed shot from the centre of the box is saved in the bottom right corner. Foul by Daniel Barlaser (Newcastle United U21). Attempt saved. Jordan Bowery (Crewe Alexandra) right footed shot from the centre of the box is saved in the top centre of the goal. Corner, Newcastle United U21. Conceded by Eddie Nolan. Attempt blocked. Luke Charman (Newcastle United U21) left footed shot from the left side of the six yard box is blocked. Foul by Liam Smith (Newcastle United U21). Attempt missed. Liam Smith (Newcastle United U21) left footed shot from outside the box is just a bit too high. Zoumana Bakayogo (Crewe Alexandra) wins a free kick in the defensive half. Attempt blocked. Luke Charman (Newcastle United U21) right footed shot from very close range is blocked. Attempt saved. George Cooper (Crewe Alexandra) left footed shot from outside the box is saved in the centre of the goal. Foul by Zoumana Bakayogo (Crewe Alexandra). Callum Roberts (Newcastle United U21) wins a free kick on the right wing. Second Half begins Crewe Alexandra 0, Newcastle United U21 1. Substitution, Newcastle United U21. Callum Smith replaces Victor Fernandez. First Half ends, Crewe Alexandra 0, Newcastle United U21 1. Attempt saved. Victor Fernandez (Newcastle United U21) right footed shot from outside the box is saved in the bottom left corner. Attempt missed. Jordan Bowery (Crewe Alexandra) header from the left side of the six yard box is close, but misses to the left. Foul by Kyle Cameron (Newcastle United U21). Attempt missed. Callum Roberts (Newcastle United U21) right footed shot from outside the box is high and wide to the left. Attempt missed. Luke Charman (Newcastle United U21) header from the centre of the box is close, but misses to the right. Attempt missed. Liam Smith (Newcastle United U21) right footed shot from outside the box is close, but misses to the right. Attempt missed. Brad Walker (Crewe Alexandra) right footed shot from outside the box misses to the left. Corner, Newcastle United U21. Conceded by Billy Sass-Davies. Attempt missed. Macaulay Gillesphey (Newcastle United U21) left footed shot from the left side of the box is close, but misses to the right. Macaulay Gillesphey (Newcastle United U21) wins a free kick in the defensive half. Attempt missed. Daniel Barlaser (Newcastle United U21) right footed shot from outside the box is just a bit too high. Attempt missed. Harry Pickering (Crewe Alexandra) header from the centre of the box is close, but misses to the left. Foul by Jack Hunter (Newcastle United U21). Attempt missed. Jamie Sterry (Newcastle United U21) right footed shot from outside the box is too high. Attempt missed. Callum Roberts (Newcastle United U21) left footed shot from the right side of the box misses to the right. Attempt saved. George Cooper (Crewe Alexandra) left footed shot from the centre of the box is saved in the centre of the goal. Corner, Newcastle United U21. Conceded by Zoumana Bakayogo. Attempt blocked. Callum Roberts (Newcastle United U21) left footed shot from the right side of the box is blocked. Attempt missed. George Cooper (Crewe Alexandra) left footed shot from outside the box is close, but misses to the left. Attempt missed. Kyle Cameron (Newcastle United U21) header from the centre of the box is just a bit too high following a corner. Corner, Newcastle United U21. Conceded by Brad Walker. Corner, Newcastle United U21. Conceded by Harry Pickering. Kyle Cameron (Newcastle United U21) wins a free kick in the attacking half. Goal! Crewe Alexandra 0, Newcastle United U21 1. Liam Smith (Newcastle United U21) left footed shot from the centre of the box to the bottom left corner. Assisted by Victor Fernandez. Victor Fernandez (Newcastle United U21) wins a free kick in the defensive half.